Are you in need of a backpack that will handle two camera bodies, one with 70-200mm lens attached, 3-4 extra lenses, dual speedlites, and a bunch more? 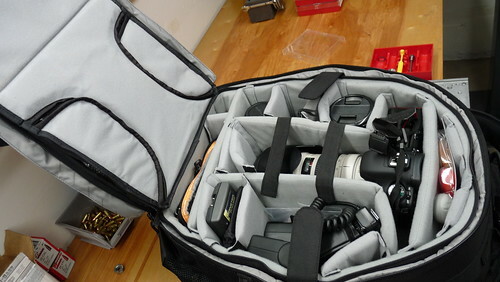 I do video and photo shoots where I have to take a “whole bunch of stuff” with me, and I found a great deal on a pro-level backpack for about $70 delivered (clearance on ebay) B&H has this for about $249. 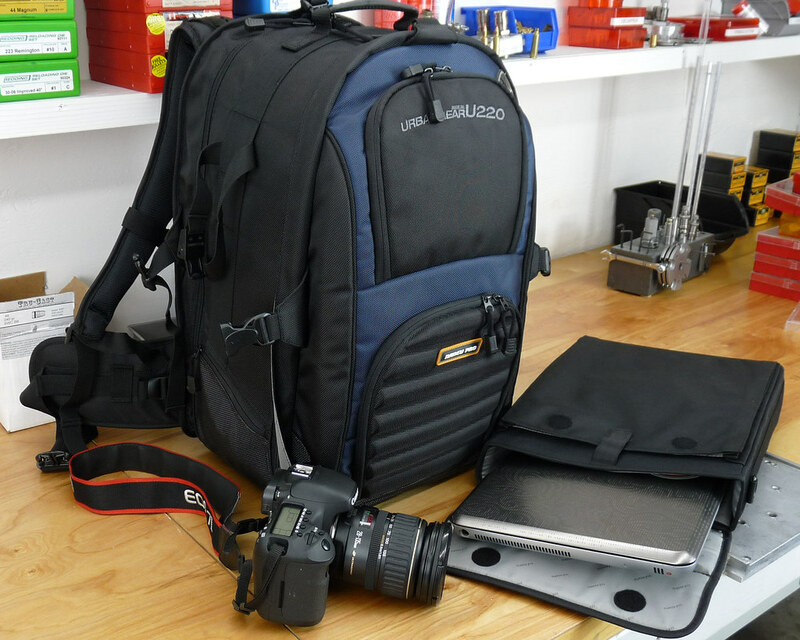 This backpack was way bigger than what I wanted at the time for airliner carryon, but for storage in my studio, and for on-location work, I’m loving this thing!